The Agriculture major is offered through the College of Humanities & Social Sciences. The academic departments participating in the major include Biology, Economics, Geography, Politics, and Public Administration. The program is overseen by the Dean of the College of Humanities and Social Sciences and administered by the Chair of the program, Dr. Oluwarotimi Odeh (The Rolland Starn Endowed Chair in Agriculture). The Agriculture major is a multidisciplinary program that blends the contributions of a number of academic departments and is not intended to replicate traditional agricultural programs offered on other CSU campuses. 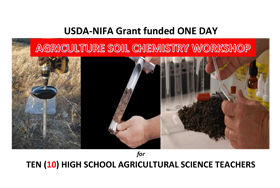 However, it does seek to address the unmet educational needs of students and the Agricultural Industry in the northern San Joaquin Valley and surrounding areas. As the program develops, it is anticipated that the unique nature and global perspectives of the program will attract students throughout California, the nation, and the world. The Bachelor of Science in Agriculture is a multidisciplinary program that blends the contribution of a number of academic departments through upper division core courses and four concentrations: Agricultural Biology, Agricultural Economics, Sustainable Agriculture, and General Agriculture. The program encourages students to explore diverse approaches to agricultural production, distribution, and management in evolving economic and environmental settings. Experiential learning and applied research opportunities are offered through these concentrations. The major fosters sustainable relationships with area community colleges through the implementation of a "2+2" program design. Individuals who have an A.S. degree or equivalent in lower-division course work in Agriculture, Agricultural Science, Agricultural Economics, and closely related fields should consider obtaining their bachelor degree in the program.